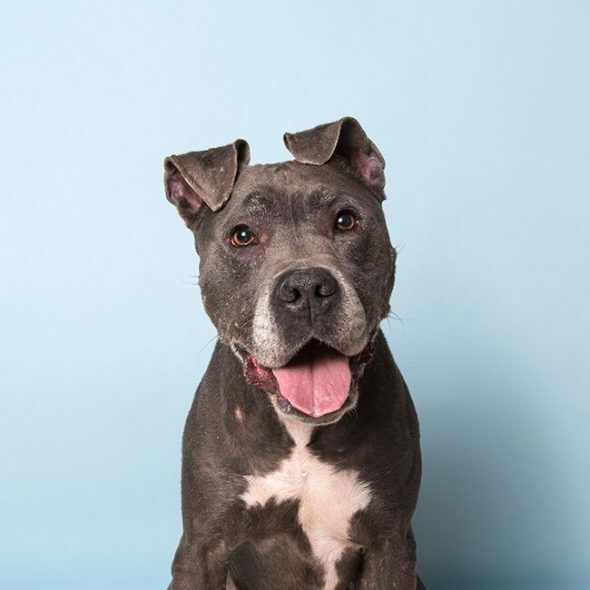 Tina is a beautiul blue and white pibble and the folks at the Animal Foundation in Las Vegas, NV, have had her in FOUR TIMES a stray dating back to January of 2017. The Animal Foundation is a new grantee of the Grey Muzzle Organization. The first three times, she was returned to her original owner but this last time she stayed on — they’re hoping to find her a new, loving, stable home. 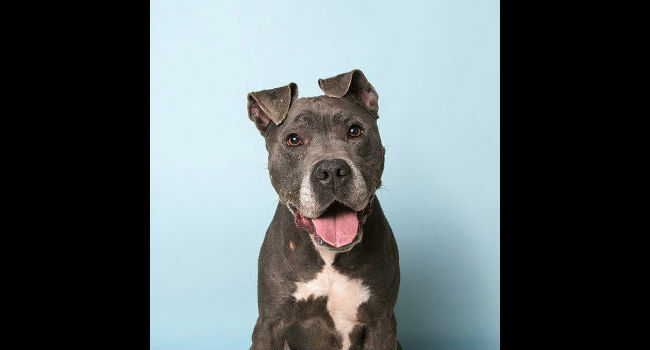 Vets put her age at about 7; she weighs 43 pounds. Her ears are an adorable, distinguishing feature, one captured beautifully by noted photographer Sophie Gamand in this wonderful portrait! Tina, as captured by photographer Sophie Gamand. At the moment, the folks at the shelter think Tina should be an only dog. Interested in this beautiful lady? 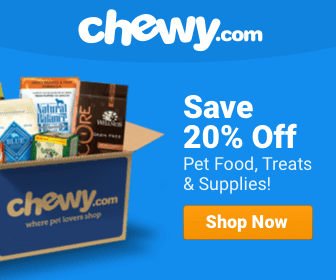 Call the Animal Foundation’s PetSmart Charities Everyday Adoption Center at (702) 558-9326, option 5 or visit https://animalfoundation.com/.